George Grosz was a German artist known especially for his caricatural drawings and paintings of Berlin life in the 1920s. He was a prominent member of the Berlin Dada and New Objectivity group during the Weimar Republic before emigrating to the United States in 1933. 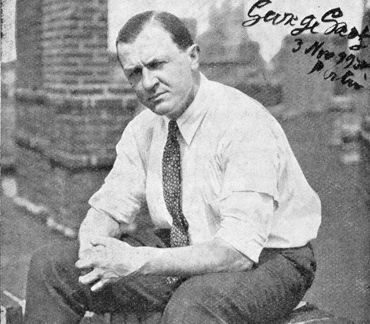 George Grosz's art influenced other New Objectivity artists such as Heinrich Maria Davringhausen, Anton Räderscheidt, and Georg Scholz. In the United States, the artists influenced by his work included the social realists Ben Shahn and William Gropper. Maler, Graphiker und Schriftsteller (1893-1959). 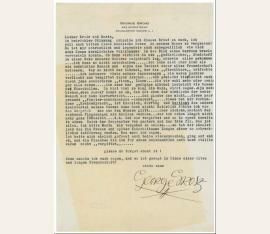 Typed letter signed. Wohl Douglaston Manor, Long Island. 1 S. 4to. Auf Briefpapier mit gedr. Briefkopf. 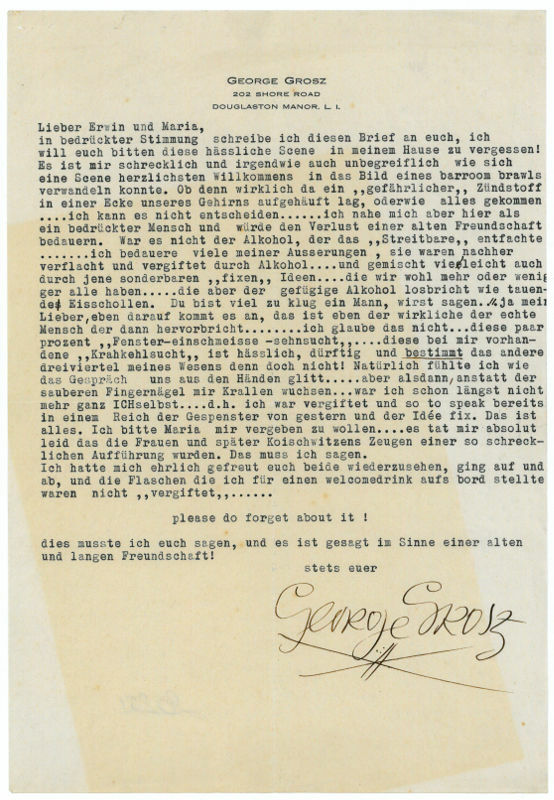 An apology written to "Erwin und Maria", i. e. Erwin and Maria Piscator, in which Grosz describes an amicable and long-await invitation which turned into a disaster for both the hosts, the Grosz family, and their guests, the Piscators. Grosz describes impressively how heavy drinking must have caused the dreadful course and end of that evening.